Game wardens in Nebraska work for the state’s Fish and Game Commission and are known as game and parks conservation technicians. Hunting and outdoor recreation in Nebraska’s parks contribute billions of dollars to the state’s economy. However, with widespread use of Nebraska’s resources also comes those who would abuse the state’s fish and wildlife conservation laws. Game and parks conservation technicians are on the front lines of the battle against those who commit such egregious crimes as shooting bald eagles. These conservation technicians also help with such proactive approaches as reintroducing bighorn sheep to Nebraska. Bighorn sheep are native to the Nebraska panhandle, but were hunted out of existence in the state during the early 1900s. The Nebraska Fish and Game Commission successfully reintroduced the sheep so prized by big game hunters. Game and parks conservation technicians combine their knowledge and training in law enforcement with a detailed knowledge of the wildlife and habitat of Nebraska. This combination of skills, while challenging, draws applicants with very strong skill sets. Therefore, competition to become a game and parks conservation technician in Nebraska is fierce. The best applicants combine a high level of enthusiasm with a strong sense of justice and interest in protecting the state’s hunting and fishing grounds. Applicants who exceed the minimum qualifications are more likely to be chosen, so a knowledge of the requirements and application process will increase the likelihood of obtaining a job as a game and parks conservation technician. Read more to discover how to maximize your chances of becoming one of Nebraska’s game wardens. Nebraska’s game and parks conservation technicians both love working outdoors and find a tremendous amount of job satisfaction by enforcing conservation laws. Their activities as law enforcement officers range from checking hunting licenses and bag limits to conducting surveillance to apprehend poachers. However, the role of these technicians encompasses many other types of activities. These range from offering hunting and boating safety courses to making presentations to student groups to educate them on conservation issues. Having a thorough understanding of what the Nebraska Fish and Game Commission looks for in its conservation technicians will help applicants demonstrate the knowledge and passion they can bring to the Commission. License: A valid Nebraska-issued driver’s license is required. Individuals must agree to participate in driver training programs through the state as they arise. Academic Credentials: High school diploma or GED is required. While no formal requirements exist to become a Game Warden in Nebraska, candidates with more relevant experience and post-secondary education fare better through the application process. Medical Condition: The applicant must be examined by a licensed physician and produce a signed affidavit indicating that they are able to physically perform the duties of a wildlife officer prior to employment. Hearing: Candidates should have a ‘normal’ range of hearing and may be subject to a hearing test. Vision: Vision uncorrected or corrected to “normal” 20/20 standard. Full binocular vision with no evidence of color blindness or other impairments is required. Physical Readiness: The candidate must be healthy and able to perform to the state’s minimum time/strain standards for exertion on the job. 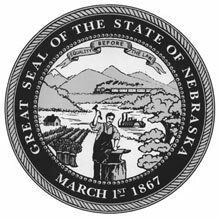 The July 2016 pay plan of the State Personnel Division of the Nebraska State Government – Administrative Services provides salary information for game and parks conservation officers and their supervisors. Conservation officers earned at least $44,990, with the potential to earn up to $64,064 depending on factors that include education, experience and holding a specialized role within the Nebraska Game and Parks Commission. This represents an hourly wage range from $21.63 to $30.80. The minimum salaries conservation officer supervisors earn depends on factors that include whether or not they work in a seasonal capacity or have attained permanent status.